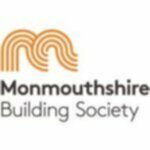 Proudly working in partnership with Monmouthshire Building Society, we are pleased to offer a local and independent personal insurance service to all society members. We understand that every home is different, which is why our insurance is too. Your very own personal broker will ensure your home and contents are properly protected at all times. In the unfortunate event of a claim, what is important is that we are with you every step of the way. Want to organise your insurance out of office hours? You can get a home insurance quote online too. View our full range of personal insurance services here, including car, travel, boat, holiday home and wedding.